Made from Forest Stewardship Council (FSC) certified beech wood, (TT-COC-1035). 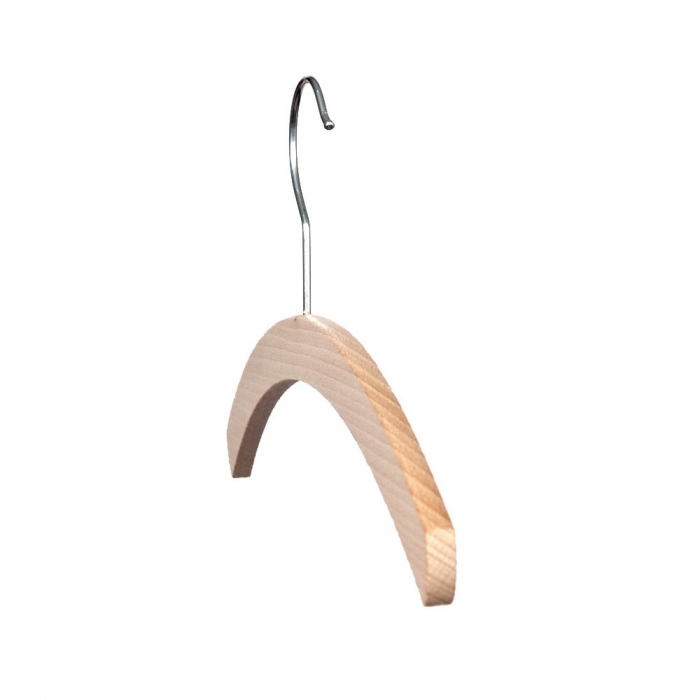 This crescent-shaped hanger has a natural wood finish and is 420mm wide. The flat design is ideal for tops, jackets & dresses. Perfect for the retail environment and sold to retailers throughout the UK and equally suited to the home. Sold Individually with a chrome hook. 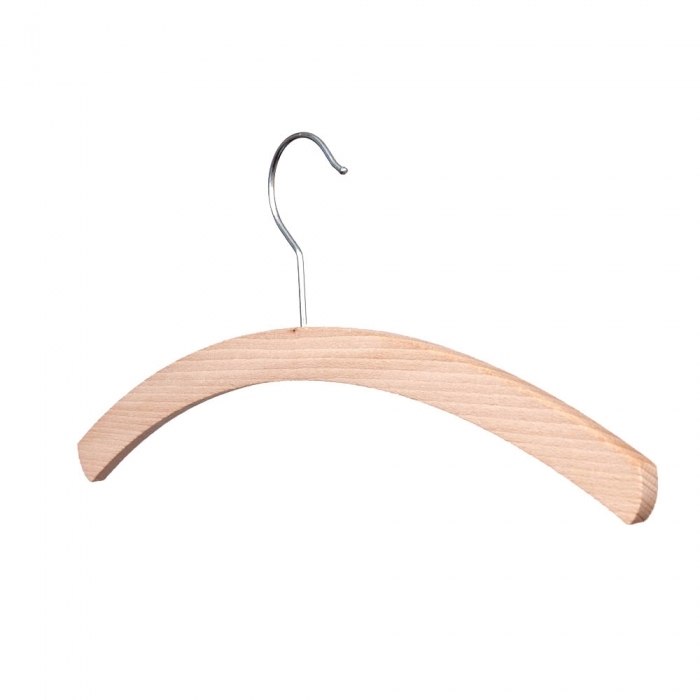 The product is exactly what at states; an ordinary wooden clothes hanger. I wanted them to get them turned into a padded and personally embroidered hanger for a lady. I cover these hangers with padding and linen and sell them in my business. 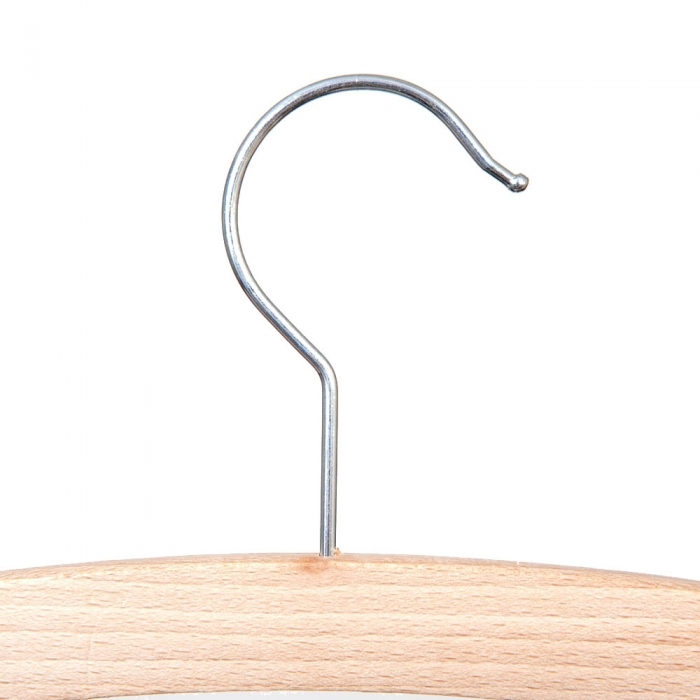 I have found very few other sellers offering this style of hanger and I have found them of a consistently high quality.